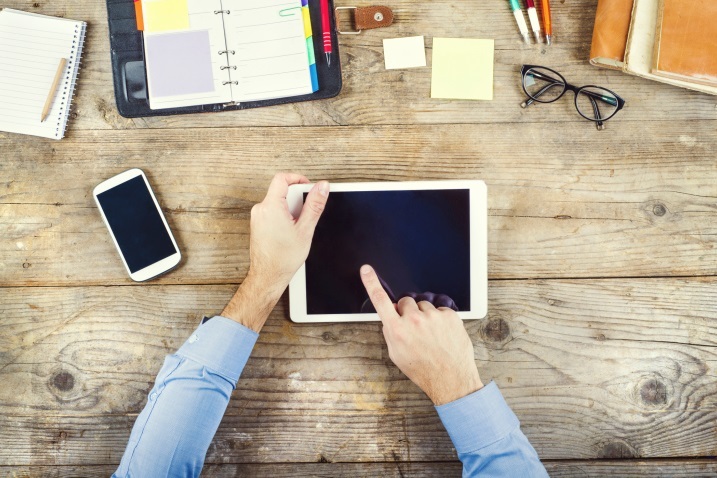 Just over half of online ad impressions served in the UK were viewed by a brand's intended target audience, according to an international survey by Nielsen. The study, which looked at more than 44,000 campaigns across 17 countries, found 53% of ad impressions in the UK were viewed by people of the age and gender advertisers intended. Nearly 3,400 UK campaigns, run between April and June, were included in the research. 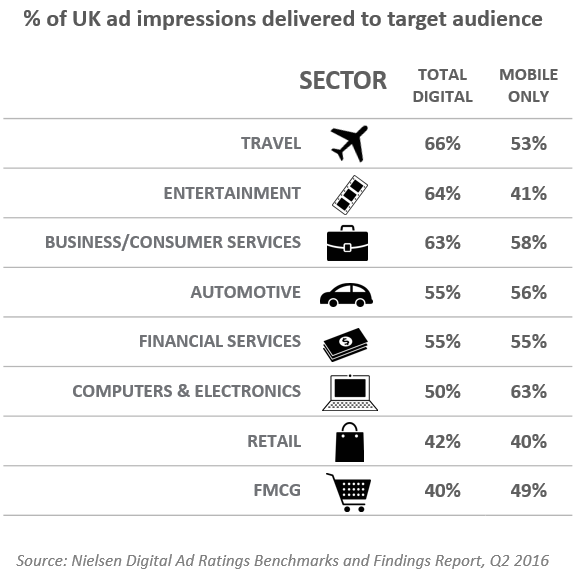 The accuracy of ad targeting also varies widely by sector, with travel marketers most likely to reach their target audience in the UK (66% success rate), with FMCG brands least likely (40%). Younger demographics appear to be more difficult to reach, the study suggests, with a 38% success rate for campaigns focusing on 25- to 44-year-olds and 44% for 18- to 34-year-olds, compared to 58% for 35- to 64-year-olds. The data, collected by Nielsen’s Digital Ad Ratings service, reveals that desktop and mobile campaigns perform almost equally well when it comes to reach broad audiences, while mobile campaigns are more accurate in targeting narrower groups of people, such as a single gender within a defined age group. Barney Farmer, Nielsen’s marketing effectiveness director in the UK and Ireland, said: "Although 100% accuracy is likely to remain a pipe-dream, a school report on digital technology’s ability to hit specific audiences might read ‘could do better’. "However, in fairness it’s more precise than traditional media and performance is improving all the time, particularly on mobile whose superiority in reaching narrower audiences reinforces its status as the most highly personal ad medium." Have brands neglected TV as a way to reach young people?